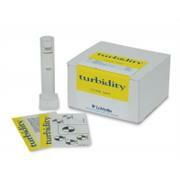 This kit tests for turbidity using a turbidmetric card used match clarity to your sample. 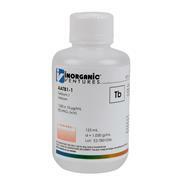 Range and sensitivity is 0, 20, 40, 60, 80, 100 JTU. 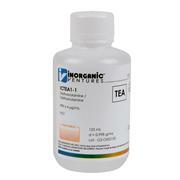 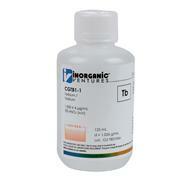 Contains 10 mg/L each of Li, Y, Ce, Tl and Co in a matrix of 2% HNO3.